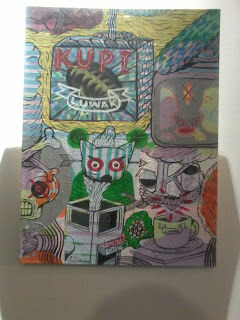 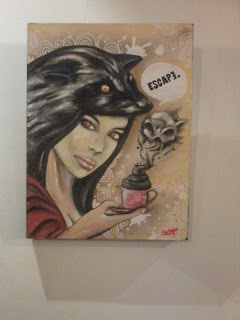 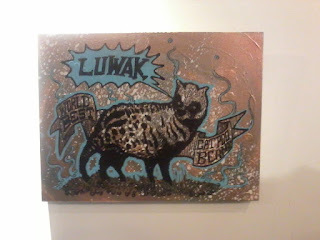 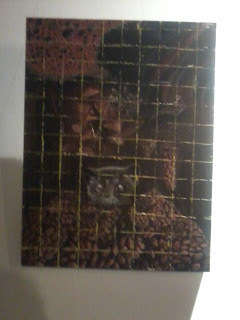 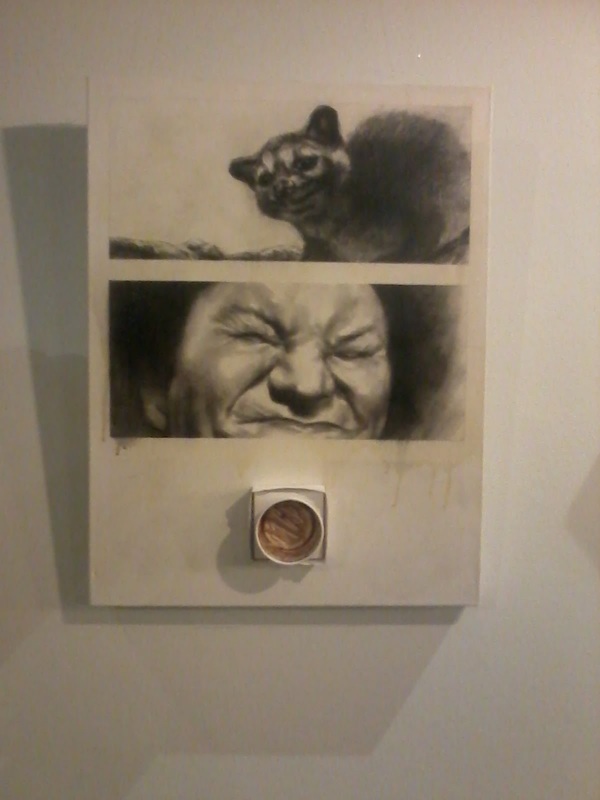 "escaping from luwak plantation" by peroltz, 2012, a2, mixed media on canvas. 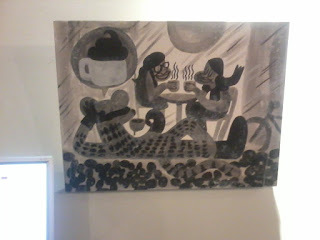 My wife's painting. I'm actually proud of her. 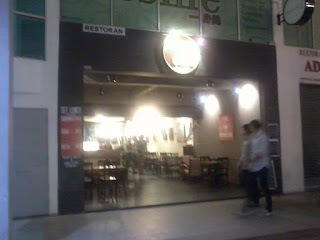 Potentially 3 different cafes in areas of Section 17 PJ, Masjid Jamek & Ampang Park. 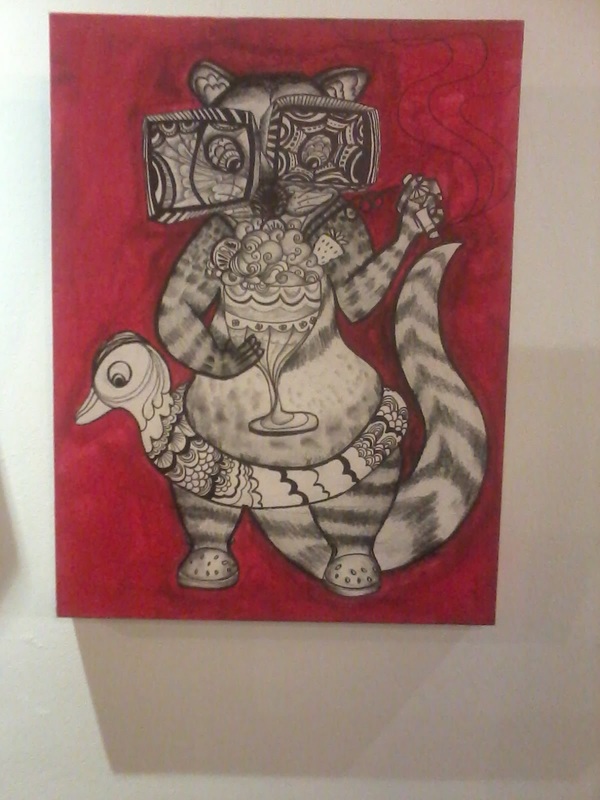 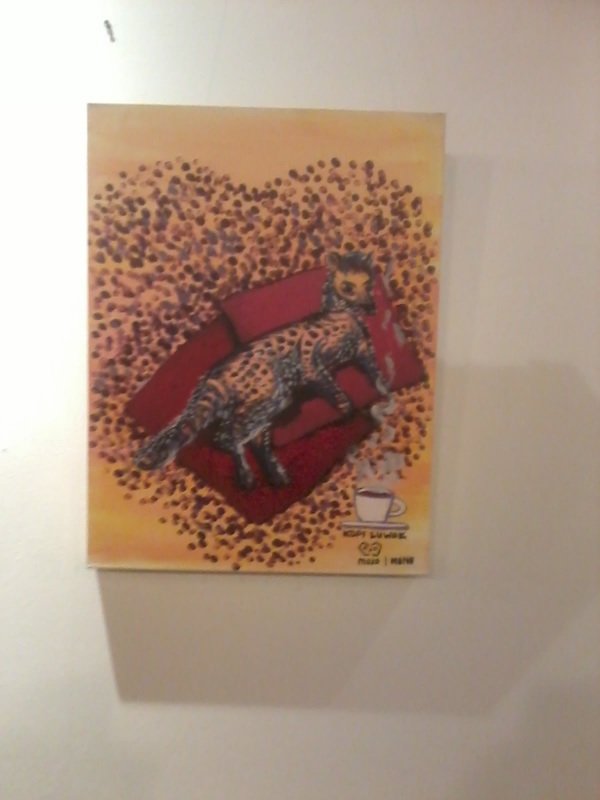 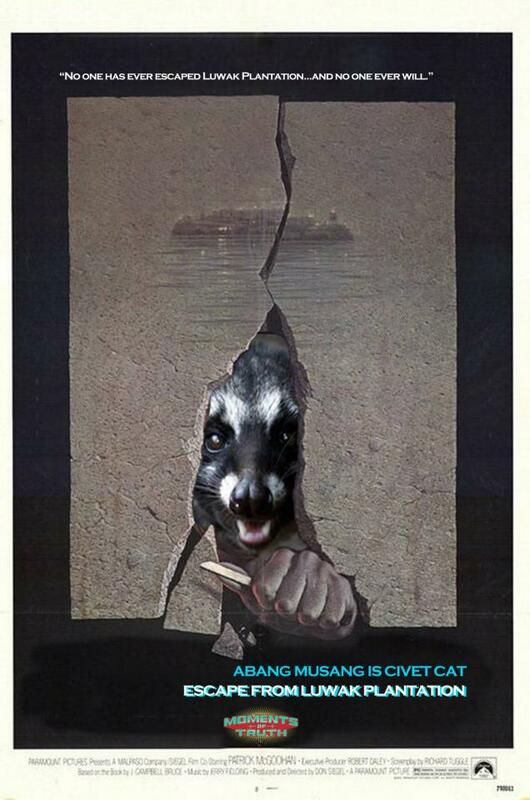 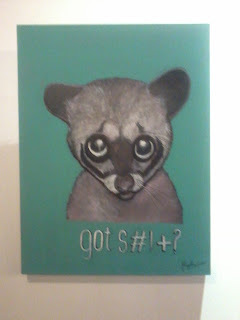 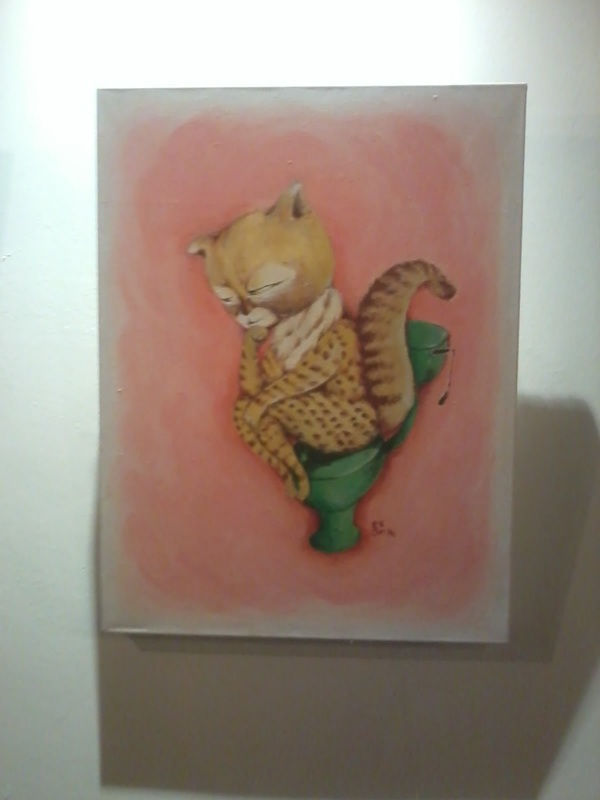 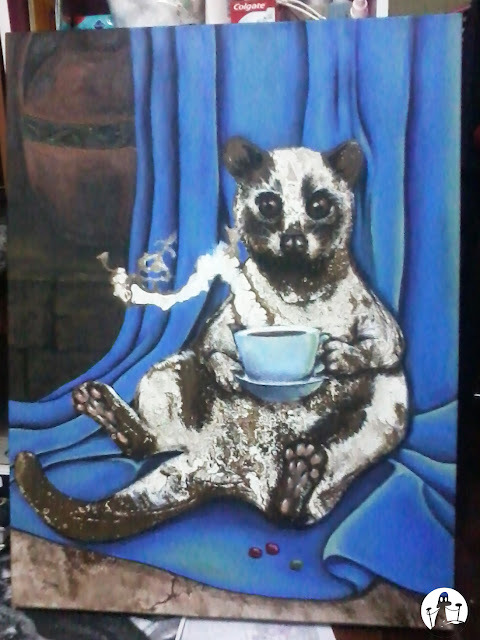 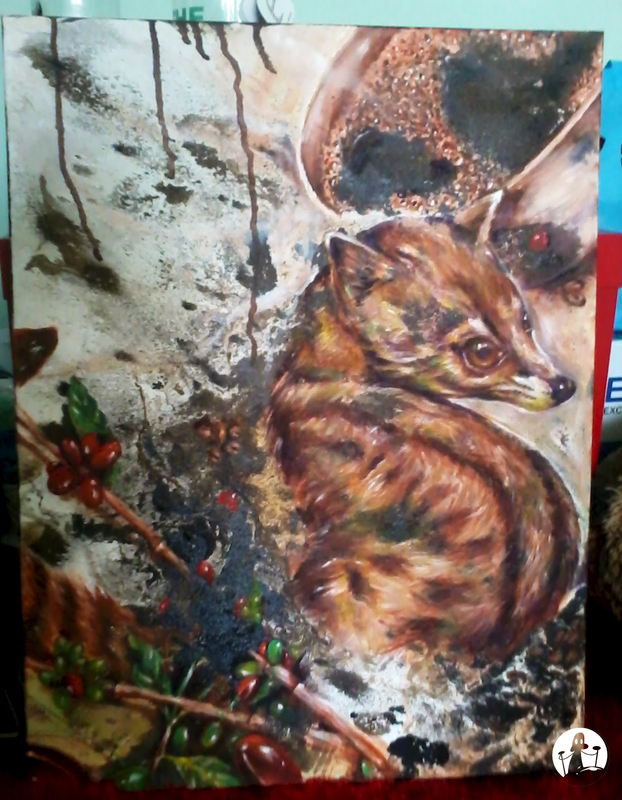 Create an illustration/painting of the "CIVET CAT" on his break or breaking free from his plantation slavedom. 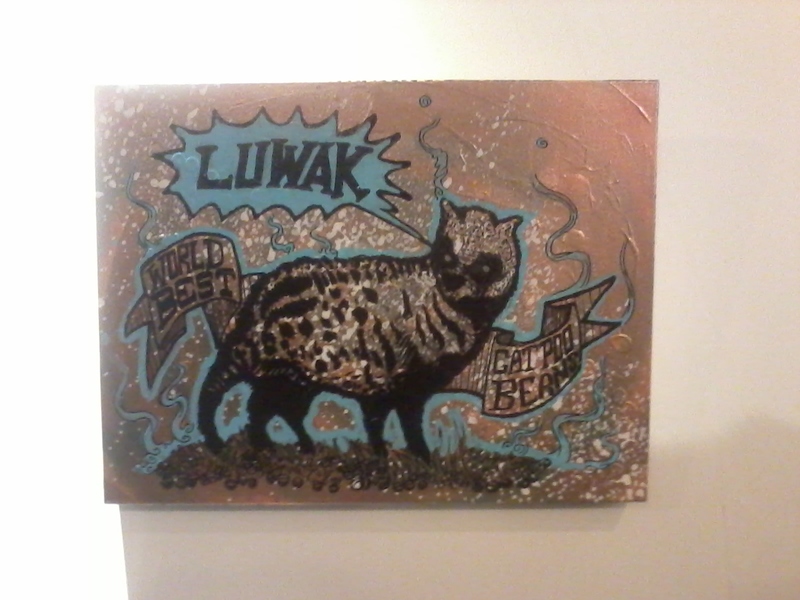 That is, imagining that the civet cat's job/situation is to chomp down tons of raw coffee beans to have digest in its gut before becoming the very expensive kopi luwak. 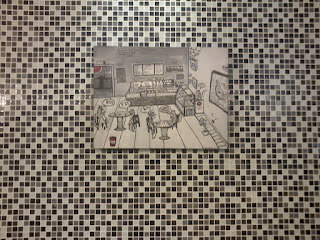 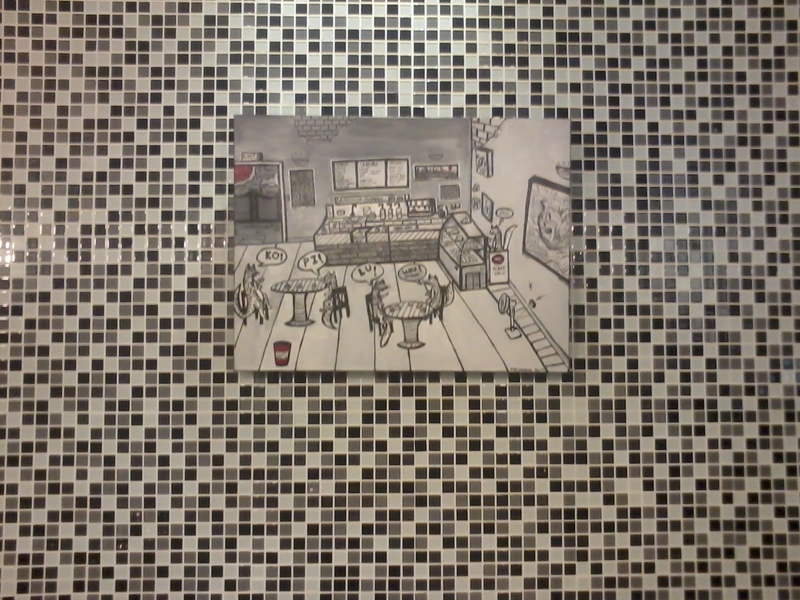 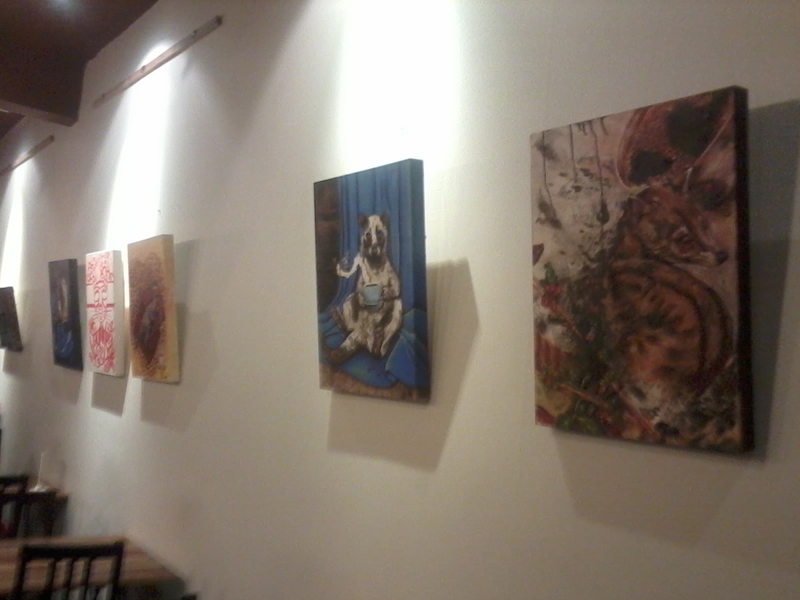 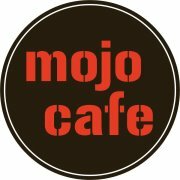 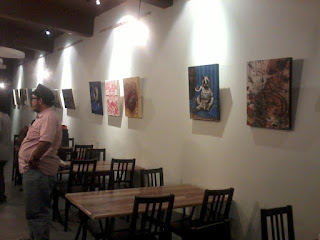 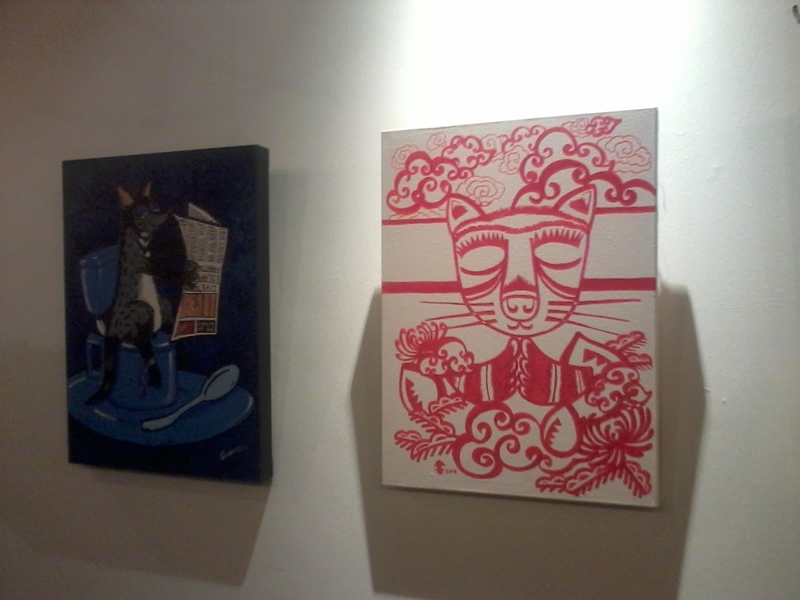 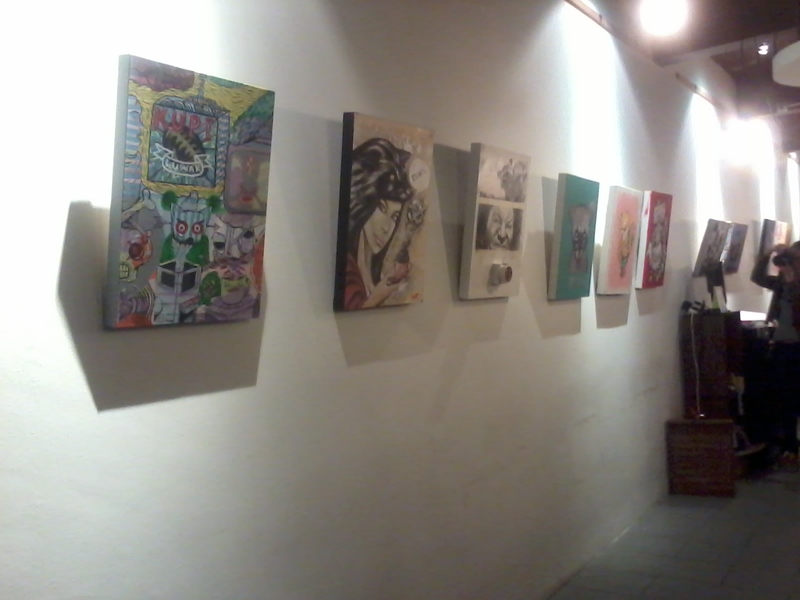 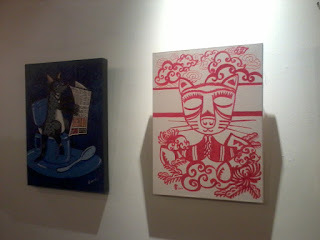 The exhibition is at Mojo Cafe in Jaya One, PJ.